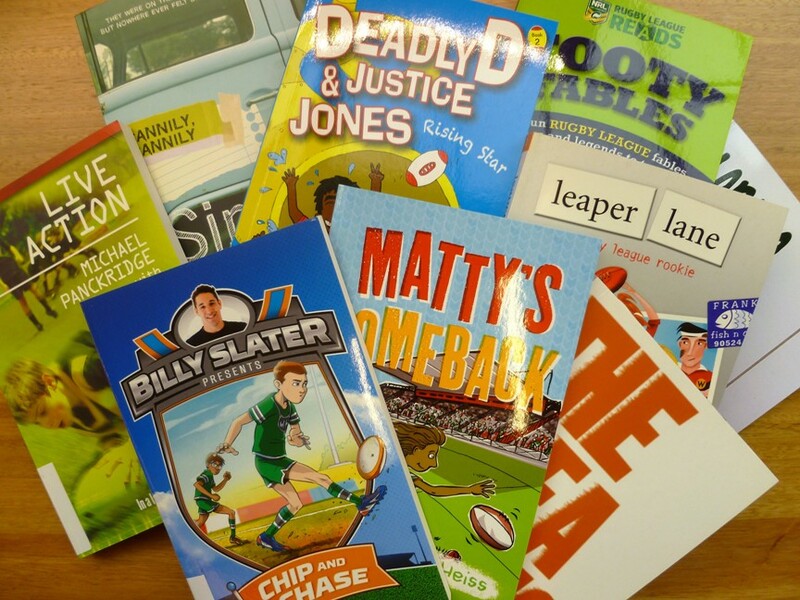 Earlier this year, I blogged about children’s books featuring Australian Rules ‒ now it’s time for Rugby League to hit the spotlight. Kids’ books about League generally have young male protagonists, are often aimed at reluctant readers, and sometimes highlight aspects of Indigenous cultures. Positive messages about education and reading may sneak into their pages as well. Matty’s Comeback by Anita Heiss (2016). Ages 8–12, 80 pp. Ten-year-old Koori kid Matty is a mad Rabbitohs fan (as are his mum, dad and brother). Matty basically knows everything there is to know about the Bunnies. It’s not a passion shared by his sister, Nita. She’s into reading. (She’s also a Kangatarian – she eats no meat, except kangaroo, ‘on ethical and environmental grounds’). Matty is passionate about his local junior club, but he breaks his arm while bike riding and can’t play in the grand final. Enter bookworm Nita! 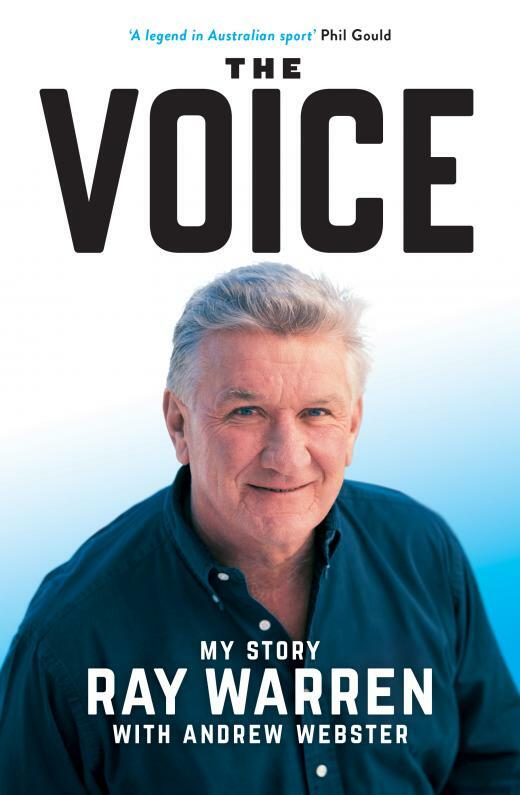 She borrows a copy of Ray Warren’s The Voice for her demoralised brother and suggests that he commentate the final instead – that way, he can still be involved in the action. An inspired idea from the family ‘reader’. Author Anita Heiss, a Wiradjuri woman, incorporates contemporary and Indigenous slang (e.g. ‘whatevs’, ‘tomoz’, ‘deadly’ and ‘didge’) into the story, along with aspects of Aboriginal history and culture (e.g. an Indigenous perspective on the Bicentenary, the singing of the national anthem in an Aboriginal language at Matty’s school and Greg Inglis’s ‘goanna move’ when celebrating a try). Want more? See Scholastic Australia’s website and teachers’ notes, and Anita Heiss’s website. 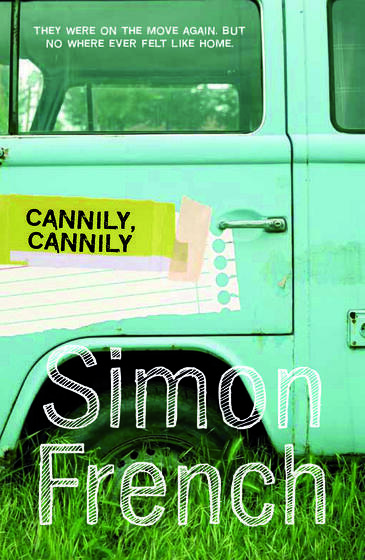 Cannily, Cannily by Simon French (1981, re-published 2012). Ages 10–12+*, 20 pp. Eleven-year-old Trevor is the son of fruit pickers, constantly on the move. The family lives out of a Kombi van with a caravan and annexe attached. As the novel begins, Trevor and his mum and dad arrive in a new town – meaning another new school for Trevor. But this time, Trevor’s dad is taking on work as a bricklayer and Trevor is the only new kid at the school; there are no other fruit pickers’ kids for company. His new class teacher and footy coach, Mr Fuller, is a bully. Mr Fuller is aggressive, mean-spirited, cruel even. Trevor observes his new world from a distance, trying to make sense of it, trying to fit in, but aware that he’s giving up something essential in himself when he seeks to accommodate the nature and culture of the small town. School and the footy team form the scaffold on which the story is hung; at its heart is a family with horizons much wider than the communities in which they linger temporarily. Cannily, Cannily, written by primary school teacher Simon French, is also about place and identity – and about home. It was originally published over 30 years ago and was commended in the 1982 Children’s Book Council of Australia Book of the Year Awards. Its exploration of the interior world of a displaced pre-adolescent boy warrants a new generation of readers. * The publisher’s age recommendation for this book is 8+, but I think Simon French’s approach to issues of identity, self-discovery, emotional isolation and relationships requires a slightly more mature readership. The Flea Thing by Brian Falkner (2007). Ages 9+, 120 pp. Daniel is twelve years old and he has a special talent – he can slow down time for himself while it continues at normal pace for everyone else. His secret talent provides him with opportunities to create winning moves on the footy field which, in turn, earn him a place in the New Zealand Warriors NRL team. Daniel trains hard, plays in an NRL grand final, scores the winning try and then … he quits. With the benefit of wise guidance from an older (i.e. twenty-something) player, Henry Knight, Daniel comes to understand that the present is the only time he’s going to get to be a kid. He goes back to playing junior footy – and he catches up with his much-neglected friends. 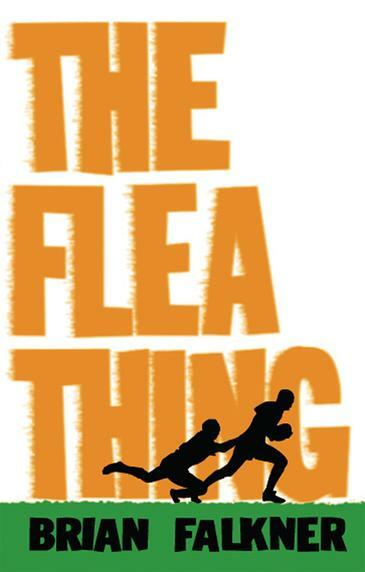 The Flea Thing is written by Brian Falkner – an Auckland-born and raised, Gold Coast resident. Falkner’s website includes access to the opening chapter of The Flea Thing (originally published in New Zealand in 2003 as Henry & the Flea). Want more? See the Walker Books Australia website and Brian Falkner’s author site. Leaper Lane by Stephen Measday and Paul Sironen (2006). Ages 10+, 206 pp. The story follows eleven-year-old Jack’s dedication to learning the rules of Rugby League and his perseverance with training drills. He gradually hones his skills, makes the local Wanderers team, and – by transferring his Aussie Rules marking ability to the new code – earns the nickname ‘Leaper’. Jack takes part in a kicking competition on The Footy Show (his kicking game is another legacy of his Aussie Rules training) and he is picked for the junior NSW team to play the curtain raiser at State of Origin games. He also manages to wangle an opportunity for his mum and dad to get back together again. Jack’s transition to, and success in, a new football code is relatively straightforward, and the future for his parents seems headed for a neat, ‘happily ever after’ outcome. A distinctive element in the story is the friendship that develops between Jack and Tania Brookes (one of Jack’s classmates and a Rugby League player). Tania plays in the Wanderers team and, like Jack, is selected for the junior state team – both teams are mixed gender. Want more? Leaper Lane was published by the now defunct Jane Curry Publishing. Copies of the book are available in libraries. For specific locations, see Trove Australia. 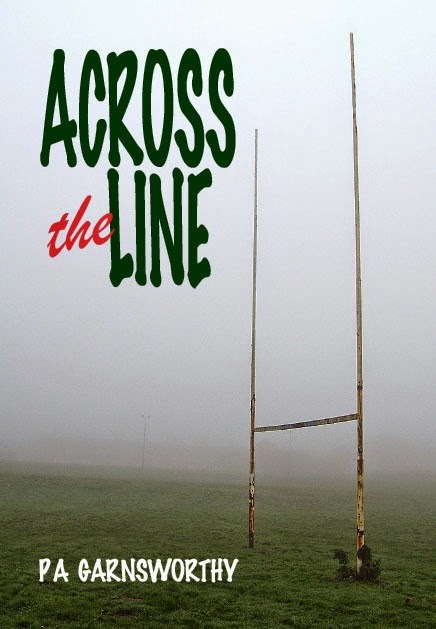 Across the Line by Penny Garnsworthy (2006). Ages 9+, 59 pp. After an accident on the footy field, Year 8 student Casey wakes up in an alternate reality. Casey’s new world is peopled by familiar family members, teachers and friends, but their personalities and his relationships with them take on new guises. Casey’s science teacher, Mr Chiang, introduces his young student to quantum physics and Casey risks exposing his confusing situation. Mr Chiang calls in the assistance of a university professor and, between the three of them, they develop the hypothesis that Casey might have a double in another universe. By re-creating the circumstances of the first ‘crossing over’, Casey is able to swap places with his original self while still scoring the winning try for his Vikings footy team. Want more? See Penny Garnsworthy’s website. Across the Line appears to be out of print, but Trove Australia lists libraries that hold copies. Billy Slater by Patrick Loughlin and Billy Slater (2014). Ages 8+. 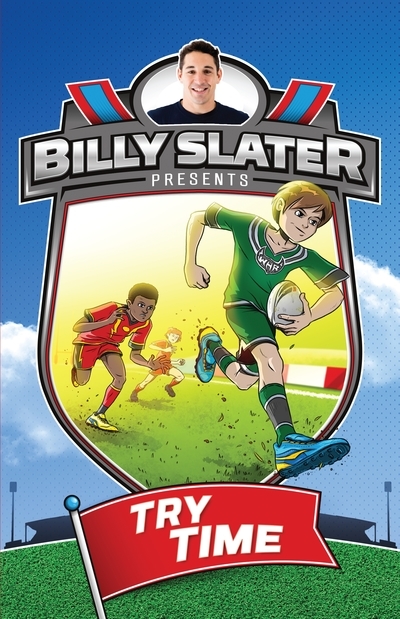 Sydney-based teacher and Manly Sea Eagles supporter Patrick Loughlin joined forces with Melbourne Storm’s Billy Slater to create the eponymous Billy Slater series. 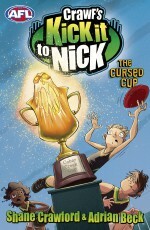 The series is based around the West Hill Ravens Under 11s footy team, and a different junior player features as the main character in each book. The team comprises players from a range of ethnic backgrounds; some of the players are Corey Wilson, Tai Nguyen, Ahmed Azzi, Lucas Popovic, Ravi Rangarajan and Junior Taafuli. The storylines are realistic and acknowledge varied emotions including fear, self-doubt, frustration and anger. Slater’s mentoring tips are woven into the narrative (Slater appears periodically as a visiting mentor for the West Hill Ravens), and tips are also included in a factual format at the end of each book. The four titles in this series are each about 120 pages in length. At the time of publication, Random House (now part of the merged Penguin Random House Australia) recommended a reading age of 9+, but the books are also suitable for slightly younger readers. The print is widely spaced and Nahum Ziersch’s illustrations break up the text at regular intervals. There are duel underlying messages in the series: to have fun playing footy and to acknowledge your feelings. As Slater puts it in his introduction, it’s ‘important to share your feelings with others around you – especially your family – as they are often the best people to help you out’. Want more? See the Penguin Random House Australia website. (Teachers’ notes for the series will soon be available via Penguin’s ‘Teachers’ Notes’ site.) See also Loughlin’s author site and Slater’s personal website. Deadly D and Justice Jones by Dave Hartley and Scott Prince (2013–2015). Ages 9+. There are three books (to date), ranging from 120 to 200 pages in length, in Dave Hartley and Scott Prince’s Deadly D and Justice Jones series. Dave Hartley is a Barunggam man and is currently a deputy principal at Queensland’s Coomera Springs State School. Scott Prince is a Kalkadoon man and a former player with Wests Tigers and with all three Queensland NRL teams. 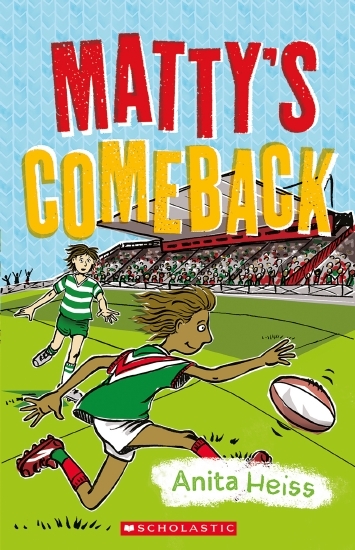 The self-declared rationale for this series is ‘to engage reluctant readers using rugby league as the “hook”.’ The series opens with the main character, Dylan Conlan, moving with his mother from Mount Isa to Brisbane. (Dylan’s dad is dead.) Dylan is a Murri kid from the Kalkadoon mob; he has the slightly unsettling tendency of turning into a super strength ‘man-creature’ whenever he gets angry. This power causes his Kiwi mate, Justice Jones, to nickname Dylan ‘Deadly D’. Armed with his superpower, Dylan gets a spot on the Brisbane Broncos NRL team where – naturally – he stars. 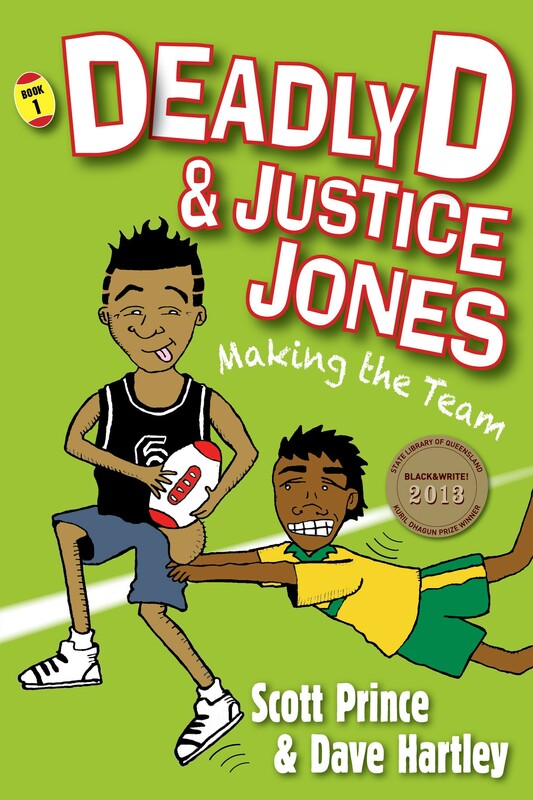 The first book in the series, Making the Team, mentions Waitangi Day and the Apology to the Stolen Generations – the significance of ‘culture’ to both Dylan and Justice Jones is unmissable. Throughout the books, there is plenty of positive reinforcement about the value of education. Want more? See Magabala Books website and the accompanying teachers’ notes. You’ll find more about Scott Prince on Prince’s personal website, and there are details of some of his current ambassador roles at the NRL’s One Community site and at the ARTIE Academy. For more about Dave Hartley, including his teaching career and his work with the Stronger Smarter Institute, visit MATSITI (More Aboriginal and Torres Strait Islander Teachers Initiative). 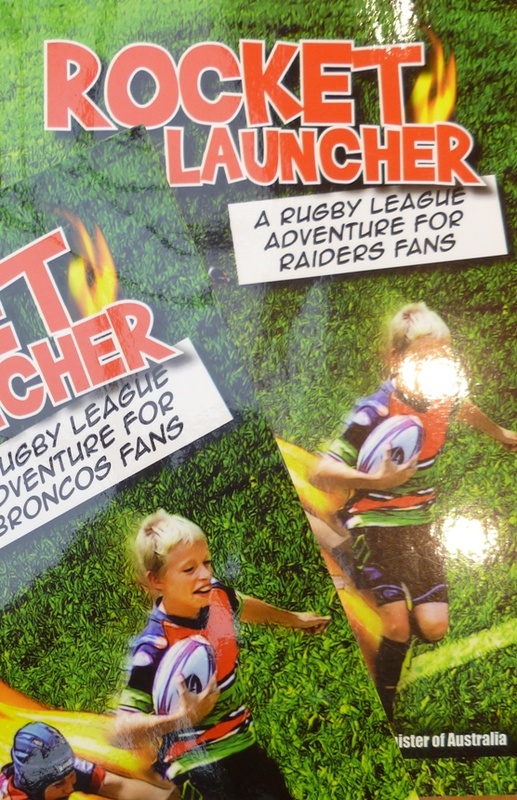 Rocket Launcher: A Rugby League Adventure for Fans by Michael Westlake and Trevor Gillmeister (2012). Ages 9+. Michael Westlake is a long-time sports journalist and has been a ghost writer for several Rugby League players including Mal Meninga, Glenn Lazarus and Trevor Gillmeister. In the Rocket Launcher series, Westlake teamed up with former NRL, Queensland and Australian player, and current Gold Coast Titans assistant coach, Gillmeister to create sixteen separately published books. The text in each book is identical with the exception of the names of players and individual team references – these are changed to match each of the sixteen NRL clubs. The series uses the names of players who were ‘current’ in 2012. The Canberra Raiders title, for instance, features Terry Campese, David Shillington and Josh Dugan, among others. This approach dates quickly given the propensity of League players to move overseas, change clubs, or commit a range of contract-ending misdemeanours. The replicated storyline is fast paced and includes plenty of humour and League terminology. Interspersed throughout the 200+ pages of each book is a succession of break out boxes, written by Gillmeister, with tips on playing League. The Rocket Launcher series is introduced by former Deputy Prime Minister (and avid Brisbane Broncos fan) Wayne Swan who encourages readers to ‘Enjoy playing, enjoy reading and enjoy rugby league’. Want more? The Rocket Launcher series appears to be out of print. Copies are held in various Queensland libraries. For some specific locations, see Trove Australia. League of Legends by Michael Panckridge and Laurie Daley (2006–2008). Ages 10+. 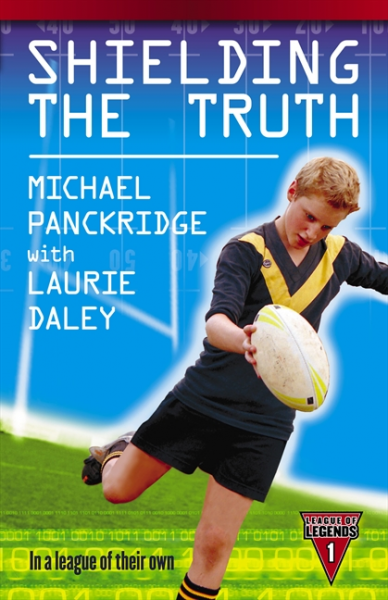 Michael Panckridge’s writing is ‘inspired by his passion for sport’ and his ‘desire to get reluctant readers engaged in books’. In League of Legends, Panckridge combines with Laurie Daley, the former Canberra Raiders five-eighth, NSW and Australian representative player, and current NSW State of Origin coach. The three titles in this series are each just under 200 pages in length. All begin with a diagram of field positions and they also include a glossary of Rugby League terms, along with tips from Daley. Each story has a mystery at its heart and the high school-aged characters employ detective skills to uncover nefarious criminal activity. Want more? See Michael Panckridge’s website and the Harper Collins site. League Stars (2015). Ages 5–7. Published by Macmillan, the League Stars series is written by Suzan Hirsch, an experienced teacher and a lecturer in Boys Education, Literacy, and Education Studies at the Australian Catholic University. The 24 titles in the series are divided into reading levels for Foundation to Year 2 and are shaped around either factual information or a fictional narrative. The information-based titles focus on themes such as club uniforms and healthy diets, and the titles for Years 1 and 2 include contents pages and indexes. The narrative titles for Foundation use very simple language and repetition; the titles for Years 1 and 2 develop distinct storylines. Want more? Details about the League Stars series can be found on the Macmillan website (under the collective heading ‘Legends of League’). Footy Fables (2013). Ages 7+. The stories combine humour and excitement with plenty of League jargon thrown in. Hirsch includes references to non-footy-related myths and fables ‒ a bugged statue of the Brisbane Broncos team mascot, for instance, requires the coach to explain the Trojan horse, and the Melbourne Storm scenario sees Cameron Smith and Billy Slater trapped in a Hansel-and-Gretel-like gingerbread house to prevent them playing against the South Sydney Rabbitohs. Want more? More information on this book is available from Macmillan. Rugby League Reads (2010–2015, Macmillan; 2016–, NRL). Ages 7+. 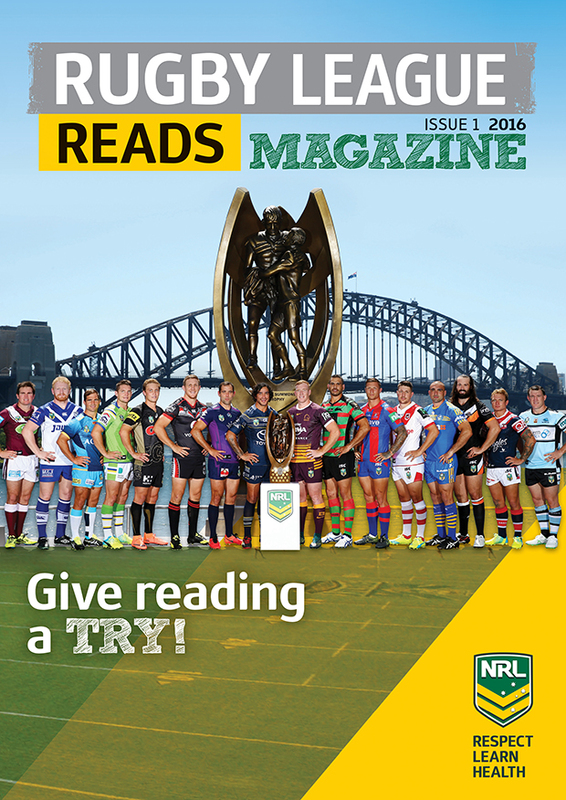 From 2010 to 2015, Macmillan published the magazine Rugby League Reads. This glossy, full colour magazine is now published directly by the NRL and includes a feature article on every NRL club. One player from each club has been nominated as the team’s ‘Reading Captain’ and is interviewed for the magazine. Each Reading Captain acknowledges the importance of reading in his own life and indicates his personal reading preferences. Nutrition, literacy and indigeneity feature heavily throughout. The magazine is aimed at readers in the 7+ age group, particularly reluctant readers. Want more? For further information, see the Rubgy League Reads section of the NRL website. If you are aware of any recent titles that I’ve overlooked, please use the comments section to let me know. Header image: By Angry mob mulls options [Public domain], via Wikimedia Commons. All titles discussed in this blog post were sighted (and very happily read) at the National Library of Australia with the exception of Rugby League Reads (personal copy). Reading Time, the journal of the Children’s Book Council of Australia, has reviewed some of the titles mentioned above. You can find the reviews here. Ray Warren’s The Voice: My Story is published by Nero, an imprint of Black Inc. Books. At 7.20 pm on Thursday, 24 March, the AFL Premiership season will kick off at the Melbourne Cricket Ground. As this new season approaches, I’ve been on the lookout for children’s books about Australian Rules football (also known as Aussie Rules). Anyway, this blog post is about books for children, not my childhood and teenage memories, so … moving right along. 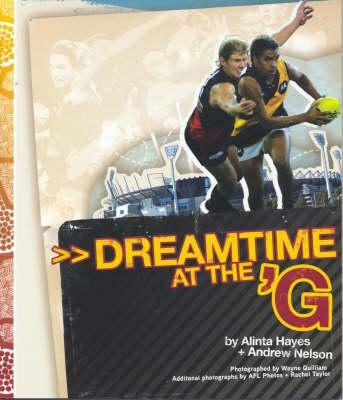 Starting with books for the education market, Indij Readers publishes three titles that feature Australian Rules football: Michael O’Loughlin: Inside the Sydney Swans (series one), All the Questions You Ever Wanted To Ask Adam Goodes (series two), and Dreamtime at the ‘G’ (series three). I haven’t tracked down a series of readers that focuses purely on Aussie Rules; let me know if you are aware of one. 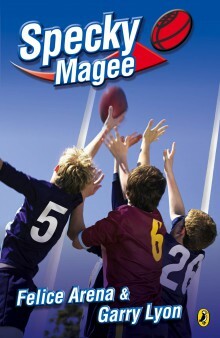 Among Australia’s major education market publishers, Macmillan has an excellent series on Rugby League; Pearson has books about Rugby Union; and Oxford University Press (OUP) favours Soccer (a game I, admittedly irrationally, refuse to call ‘Football’), but Australian Rules offerings are modest. 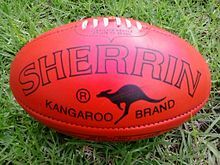 Macmillan, Pearson and OUP each publish one Australian Rules non-fiction title—respectively, Australian Rules, All About AFL and Aussie Rules. Penguin’s Aussie Bites and Aussie Nibbles series each include an Australian Rules-themed title. 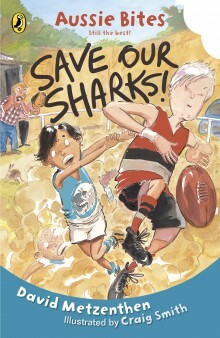 Look out forThe Newtown Tigers by Michael Wagner (Aussie Nibbles) and Save Our Sharks by David Metzenthen (Aussie Bites). Both are suitable for ages 8+. Arena has also included a book about Aussie Rules, titled simply Footy!, in his Sporty Kids series. The nine books in Michael Wagner‘s series play on children’s capacity for exaggeration. Maxx Rumble’s deeds on the footy field are simply extraordinary—just ask him. Maxx also plays cricket and soccer (how does he fit it all in?) and Wagner has diligently recorded his feats in those sports, too. All the books are illustrated by Terry Denton, a man whose wicked sense of humour can match anything Maxx (and Wagner) can conjure. Former Hawthorn player and Brownlow medallist Shane Crawford has co-written an eight-book series with TV producer Adrian Beck. The series centres on Nick (captain of the beleaguered Cobar Creek Crocs), Bruiser and Ella. All three are ‘massive footy fans’ who ‘live and breathe AFL’. You’ll find the website for the series here. The latter two series are apparently both still in print, but neither feature on their respective publisher’s websites. Copies may be hard to come by. 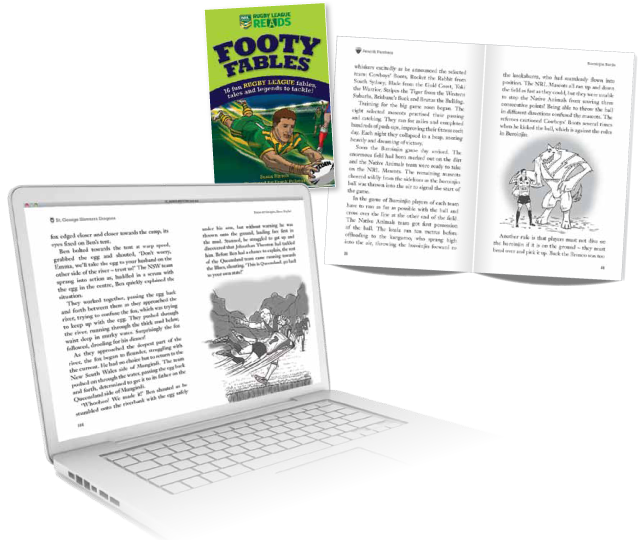 ‘Stand alone’ titles about Australian Rules tend to be aimed at older children, those in the upper primary and lower secondary age groups. Subject matter might include social issues such as racism and sexism. 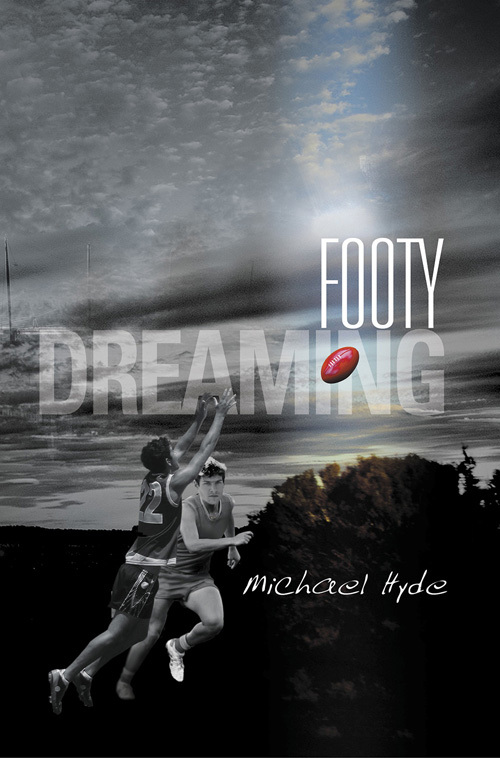 Set in a country town, Footy Dreaming follows the fortunes of Ben and Noah. Besides competing against each other, the boys have to contend with small town politics, family animosities and racism. Caisley’s Top Marks is played out against the backdrop of the relationship between Jack and his grandfather (and coach), and the concept of team before individual. Journalist Cheryl Critchley introduces her readers to Sam Scott. Sam is a 13-year-old girl with a passion for Australian Rules football—not watching the game, playing it— and she faces prejudice from her peers and the sport’s administrators alike. 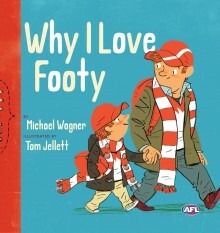 Although not all picture books are written for very young audiences, these Aussie Rules-themed books are suitable for children in the under-six age group. 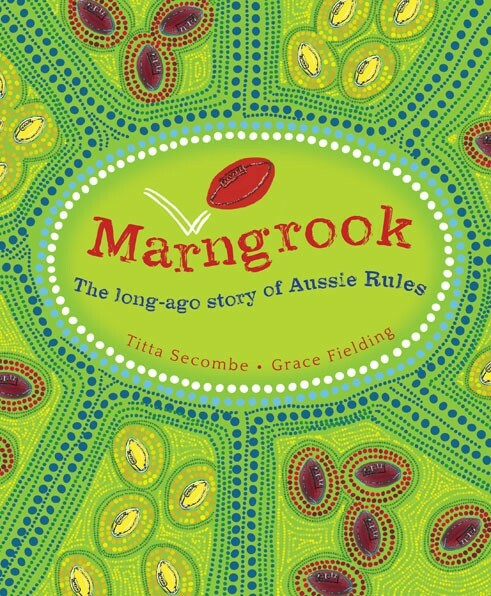 Marngrook by Titta Secombe, illustrated by Grace Fielding (Magabala Books). ‘Based on the sometimes controversial theory of how Australian Rules Football developed from “marngrook”, a ball game played by Aboriginal people in north west Victoria more than 150 years ago’. And if a lift-the-flap book is more your style, try AFL Where’s My Football? by Daron Parton (Penguin). That brings me to the end of my meanderings through Aussie Rules books for children. If you are aware of any books I have missed, please share them via the ‘comments’ function. Happy reading, and may Carlton win more games this season than in 2015! The titles I’ve mentioned in this post should be in print and available for purchase. For older, out-of-print titles, check my list on Trove Australia under the following heading: Australian Rules Football_Children’s Literature (fiction). Books on this list may be still available in public and school libraries, or for purchase via second hand book stores. Because I’ve focused on books for children, I haven’t included novels for young adult readers. If you’re interested in YA books, I’ve created a Trove list under the heading Australian Rules Football_Adolescent Fiction. You’ll find titles like Phillip Gwynne’s Deadly Unna?, Nicole Hayes’ The Whole of My World and Michael Hyde’s Tyger, Tyger on this list. For other forms of writing about Aussie Rules (poetry, plays, biographies, etc), try searching AustLit, an authoritative database about Australian literature. As of March 2016, AustLit lists over 500 works with the subject ‘Australian Rules Football’. 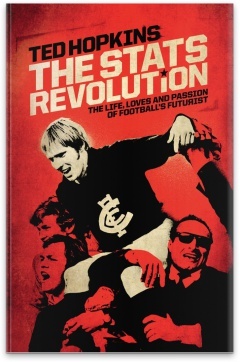 And if you’re interested in what happened to Ted Hopkins after he launched the Carlton revival in the 1970 grand final: he published a few books of poetry during the 1980s and then, in 1995, he founded Champion Data which went on to became the official supplier of statistics for the Australian Football League. You can read Hopkins’ own story in The Stats Revolution.